As fuel rates are burgeoning rapidly, having a car in India has become a necessary, but expensive, proposition. Owning a car and purchasing a car insurance policy go hand in hand. Moreover, the premium of a car insurance policy also plays a major role in deciding the budget for the car one wishes to buy. As an insurance buyer, you can avail the benefit of low premium rates, if you decrease the insurer’s perception of your risk. However, there are many other factors that remain non-negotiable like your city of residence, driving history, and age. Apart from these factors, there are some other factors that can be controlled in order to decrease the car insurance premium. There are several car insurance companies that provide up to 50% discount on large premiums as a part of the no-claim bonus. So, instead of making small claims, it is wiser to take care of minor damages to the car by yourself. Remember that if you successfully complete a claim-free year, you will be entitled to a yearly discount which will result in a significant difference in the overall cost. As there is a wide range of car insurance policies available in the market, choosing the right policy as per your requirements is crucial. You can compare the car insurance quotes online and choose some of the best plans in India. Many policies include certain rider benefits which you may or may not use. So, paying for it may not always make sense. Instead of thoughtlessly choosing multiple add-on benefits, save money by choosing rider benefits carefully according to your requirements and priorities. A deductible is a fixed amount that you agree to pay before the benefits of the policy is applied. In several cases, a higher deductible could mean lower premiums, but that would also mean lightening your pocket in case of a loss. If you drive safe or own a second car that you don’t drive often, then the probability of an accident or sustaining damages is also low, thus you can take this risk of choosing a higher deductible. Theft and accidental damages add a lot to the insurance costs. Buying a car with a theft alarm system or installing one separately will not only save your vehicle from any danger, but can get you a discount as well. Moreover, if you park your vehicle in a driveway or garage, then the probability of theft or accident decreases simultaneously resulting in a 3-7% drop of the insurance cost. Do you know that there are particular occupations marked by Insurance Regulatory and Development Authority of India that can avail discounts on car insurance policies? Teachers, military personnel, government employees, chartered accountants, doctors, etc. come under this section. For example, a CA or a doctor gets 5% additional discount on their car insurance premium because of their profession. You can avail this discount by providing an ID proof of the same. Sticking with your car insurance provider can get you a reward as loyalty addition. Don’t miss checking on the loyalty bonuses or offers, offered by your existing insurer. Having a long association with a certain insurance provider helps you avail an affordable insurance policy. Moreover, you can also avail extra-discounts if you own multiple insurance policies from the same provider. Make sure that you pay your premiums on time and get your car insurance policy renewed before the due date. Remember that if you miss paying your premiums on time, then it can result in the loss of your discount or no-claim bonus and can also result in policy termination. Moreover, timely renewal of your car insurance policy ensures protection in case of any mishap. You must be aware of the fact that discounts on your car insurance policy vary according to the car type. 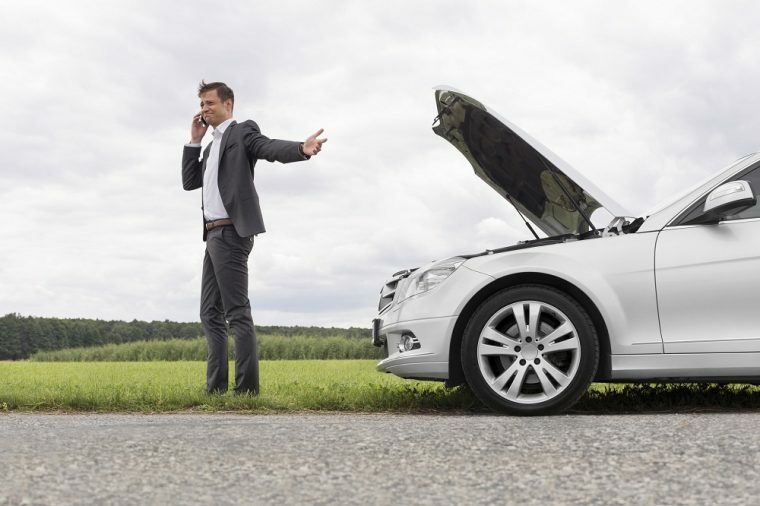 A particular premium rate is fixed by every car insurance company on the basis of its past claim experience. Different models of cars have their own claim history. Depending on the model, structure, technical specification, etc. some cars are more prone fragile as compared to others, increasing their claim frequency. Moreover, luxury cars also draw exorbitant repairing costs. Thus, it results with the insurer citing a hefty premium amount. So, it is wiser to go for a less expensive car. As we know, there are several factors that are beyond our control when it comes to car insurance premium. But, at the same time, we must make hay while the sun shines with the above-discussed factors which are entirely in your control. By keeping these factors in mind while zeroing in on a car insurance plan, you can drastically minimize the premium amount, yet avail the maximum benefits offered by the policy. This article was contributed by Costea Lestoc.